Christmas is just a few days away. Excitement is growing among our children and grandchildren, isn’t it? I truly love the holidays but not because of the hustle and bustle but for the quiet times by the tree with lights twinkling. The truth is—I love Christmas movies! I have taped every one of the movies I can find, and when I have some alone time, I will watch one. Oh yes, this season I have watched a commoner become queen, a reporter fall in love with the person she is writing about, the owner of a store fall in love with the department store Santa, and so forth—all during the holidays. My family actually makes a little fun of me for my total obsession with White Christmas. White Christmas—is there anything like it? 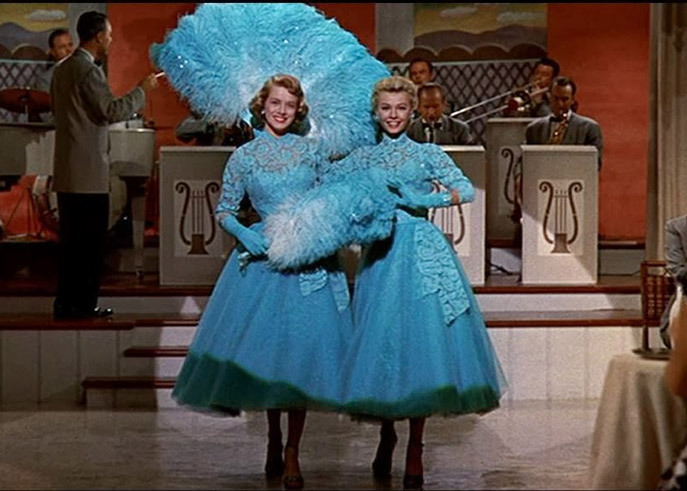 Sisters in the blue dresses with matching feather fans, and my goodness have you ever seen such small waists in those adorable outfits that Judy and Betty wear with matching hats and purses? Movies transport us into the lives of the characters, so much that we feel as if we know them or could be them. They dance in 3-inch heels with their hair in place, never breaking a sweat, with dresses whooshing around them in perfect rhythm. Oh the perfection! Somehow when I think of that now, I couldn’t even think of putting on the heels, much less dancing in them. Yikes! When we were kids, Mom and Dad would let us stay up past our bedtime to watch By The Light of the Silvery Moon. It came on every Christmas. Doris Day was young and perfect and could ice skate like an angel. She had a plaid skirt and matching tam hat. Now that was something you really dreamed of wearing. And she was in love with Gordon MacRae. 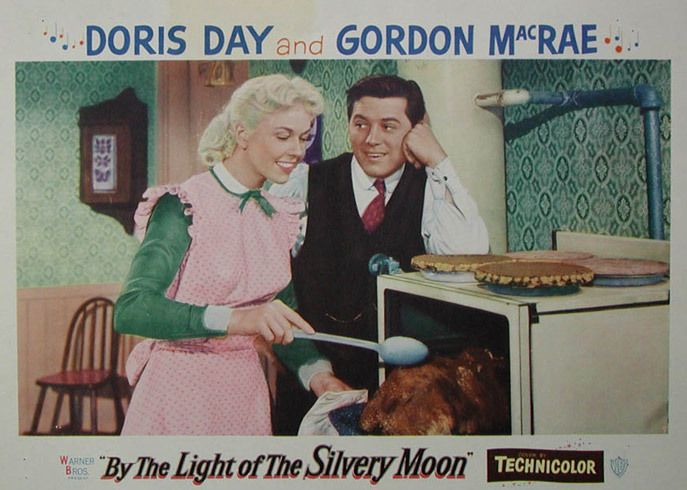 A poster for By the Light of the Silvery Moon, staring Doris Day and Gordon MacRae. What is your favorite Christmas movie? As I was writing this I realized my favorites are all romantic comedies where the girl always gets her guy. I want every movie to end beautifully. What Christmas movies do you love? Our family watches White Christmas on Thanksgivig night–starts our Christmas season! Our favorite movies are: “It’s a Wonderful Life”, “Christmas In Connecticut”[starring Barbara Stanwyck], “Christmas Carol” starring [Alistair Sims], “The Bishop’s Wife” and the Hallmark Movies. Wishing you and yours a Happy, Healthy New Year full of Blessings. Christmas movies are my favorite! I love all the old classics including The Man who came to dinner, Christmas in CT, and I always cry at the end of “It’s a Wonderful Life”. That movie shares a beautiful message and I believe everyone should watch it at least once. The Hallmark Channel has some great movies and I check that channel everyday to see what’s playing. A Boyfriend for Christmas is terrific. Over the years I purchased lots of Christmas classics including the House Without A Christmas Tree and the original “Yes Virginia, there is a Santa Claus.” They are both wonderful to watch either alone or with children. Merry Christmas and God’s blessings to all! I, too,, loved Christmas in Ct. I always dreamed of writing a column for a newspaper or magazine. I even lived for 20 years in an old farm house. Now that I am older I write a newspaper for our Garden Club. I am finally doing what I always wanted to do. It Started with Eve. I love this movie because it seems like a Christmas movie and had a happy ending. We will be watching “White Chritmas now that our 19 year old daughter is home from school. We’ve been waiting because she begged us to watch it with her! In the meantime, we’ve been enjoying the Hallmark movies. My husband got us into them a few years ago because his 87 year old mother watches them all. When they talk on the phone every Sunday afternoon, they relive all the movies together that they watched that week. What a precious son! And I get to have him for a husband! I love all the classics – Meet Me in St. Louise, Christmas in Connecticut, and White Christmas, as well as Holiday Inn. I love the old houses, The snow, the carriages pulled by horses, and how everything is decorated – AND the old fashioned Christmas trees. I love the formality of the dinners and how we used to dress for Christmas dinner, even in the country. The movies remind me of those times. Also, the simplicity of the gifts. The Hallmark Movies have perfect houses, perfect decor, perfection everywhere. In the old movies, such as It’s a wonderful Life, life was not always shown as perfection, but there seems to always be a boy getting his gal, or a girl getting her guy! Lol! The Bishop’s Wife. Loretta Young, Cary Grant. Oh, yes! I LOVE The Christmas Card! Hallmark makes the best Christmas movies. Wishing you and your family a very Merry Christmas Phyllis!! I love Christmas movies. My favorites are: Scrooge. Its a wonderful life and of course White Christmas. I watched White Christmas for the first time last year and loved it. Hallmark has a lot of cute movies but the older classics are still the best. I am happy to see so many have mentioned” The Christmas Box”. I also love “It’s a Wonderful Life” and a lesser known movie with Jimmy Stewart called “The Shop Around the Corner” and it’s on TCM tonight!Happy watching! Must watch Love Actually with Hugh Grant. I also have been enjoying the TV Christmas movies and the long time favorites such as Christmas in Connecticut, Holiday Inn, and White Christmas. I love music and the “Count Your Blessings” song stays with me for days after. When sleep is elusive, isn’t this a lovely way to slip off to dreamland? May we all have a blessed, and wonderful Christmas with our families and friends. Thank you, Phyllis, for another wonderful year of sharing your heart with us. Wow, you have had so many replies and I can say I love many of the movies already mentioned. Also have some I’m not familiar with I can now watch such as “By the Light of the Silvery Moon”! One movie I dearly love and isn’t necessarily a Christmas movie but is set at Christmas time is a Walton one called “The Homecoming”. I believe this was a pilot and the series came after. Christmas blessing to you Phyllis, your family, staff and all your faithful readers. “Doktor Zhivago” is our all-time favorite, with “Hello, Dolly” a close second. So many wonderful titles are listed here for Christmas movies. My favorites are The Christmas Card, It’s A Wonderful Life, White Christmas, Miracle on 34th Street, A Christmas Story, Thomas Kindkade’s Christmas Cottage, Christmas Lodge, Holiday Inn, Christmas in Connecticut, The Christmas Box and the prequel to The Christmas Box, Timepiece. Someone mentioned The Bishop’s Wife, too! Wishing all a very Merry Christmas and blessings of happiness and health in the new year. Merry Christmas to Phyllis and all the readers of your wonderful blog! I also love White Christmas, Holiday Inn and my favorite is Christmas in Conn.
Have a safe and wonderful holiday season. Absolutely , no doubt about it, best movie is “The Bishop’s Wife”. I never tire of watching Christmas movies but the first one I watch every year is Miracle on 34th Street. Then it is on! White Christmas is right at the top of the never ending list. The Grand Theatre is showing the old movies one showing two days weekly during December. We saw White Christmas on the Big Screen Wednesday night in Skidell. Plan to see Its A Wonderful Life this coming week. My favorite is Meet Me In St. Louis. I love the Victorian period and watching the different seasons in the movie. And then when Judy Garland sings Have Yourself a Merry Little Christmas…oh my goodness! A close second is Christmas in Connecticut. My two favorites also!! As a former St. Louisan I tear up through a great deal of the movie. It’s a wonderful city at Christmastime! Christmas in Connecticut always is watched on Christmas eve and enjoyed every single time. Christmas in Connecticut and Meet Me in St Louis. The latter is not necessarily a Christmas movie but Judy Garland sings “Have Yourself a Merry Little Christmas” in it, which I love, so we usually watch around this time of year–it’s tradition! I also love White Christmas and Holiday Inn, where Bing Crosby sings “White Christmas.” It just doesn’t get too much better than that! I guess you could say that I love most all Christmas movies, especially the old ones. Have a wonderful holiday. Fallen Angel and Christmas with Holly are two of my favorite Hallmark movies! Merry Christmas, Phyllis! We love the early versions of “Miracle on 34th Street” and “It’s a Wonderful Life,” along with “White Christmas.” A special favorite of mine is “Elf.” The Hallmark movies are always a treat to watch and I love that they start showing them in November and continue through Christmas. Don’t forget the Bells of St.Mary too! Also must watch A Christmas Carol…the older version is best. My favorite Christmas movie is the “The Christmas Box”. It is based on Richard Paul Evans book, a beautiful story. I hope you all watch it. Merry Christmas to all. It isn’t really a Christmas “movie” as such but if anyone has seen “Merry Christmas Mr. Bean” with Rowan Atkinson and didn’t laugh when he was running around with that stupid turkey on his head then you haven’t experienced Christmas. Funny in a sad kind of way but also very inspiring and I watch it every year. My husband and I have watched White Christmas, Miracle on 34th Street, and It Is A Wonderful Life, every Christmas together for 34 years! This year he watched a few Hallmark shows too. The shows can be an escape and a hallmark of “if only real life would be this way.” However, for so many they can depict all that is wrong and distressful in their own lives. I pray for all to know the true joy of Christmas. Have a blessed Holiday season. I do love “White Christmas”, especially when Bing Crosby sings “Count Your Blessings.” It’s my favorite holiday musical. As for the traditional Dickens tale, nothing beats the drama and mood lighting of the Alistair Sims version of “A Christmas Carol.” But if I had to pick only one movie to watch all season it would be the old TV show “A Charlie Brown Christmas.” When Linus explains what Christmas is all about I cry like a baby. I even bought the Hallmark ornament of that scene a few years ago and treasure it dearly. No one has mentioned “It’s a Wonderful Life” with Jimmy Stewart, Donna Reed, and so many other fine actors of that time. That one is my favorite, and never fails to leave me teary-eyed! Every time a bell rings, an angel gets their wings! Merry Christmas to all! Along with White Christmas being a favorite is Holiday Inn, the movie which the song White Christmas was actually written for. But I guess my absolute favorite is Little Lord Fauntleroy with Ricky Schroeder. I, too, love the the old house in A Christmas in Connecticut. My all time favorite movie that brings tears to my eyes every time I see it is Bing Crosby’s “Going My Way” ! It is such a positive uplifting movie and when the little old priest played by Barry Fitzgerald gets to see his Irish Mom after many, many years … the tears always come. Best Christmas movie ever !! Merry Christmas Phyllis !! I have quite a few favorites! Hallmark puts out such beautiful stories, I watch them all December long…. Last night I watched Scrooge with George C. Scott and wow did he do some fantastic acting! The meaning behind this movie is heartwarming and conveys the true meaning of giving and sharing… Keep this wonderful movies coming and I applaud Hallmark for keeping us in the Christmas spirit! Have a very Merry everyone! LOVE them all. Tomorrow our local theatre is playing Miracle on 34th Street and we have tickets. Will be fun to see in the big screen. Recently another theatre ran White Christmas. Wish they would do more of this. Hallmark is running some pretty good movies. Christmas Card is always a good one. A new one this year and is a two part The Bridge. Beautifully done. They will run the second half the end of 2016. White Christmas is our family favorite too! One of my fondest memories of my Dad was searching the 3 channels all through December for White Christmas and then watching it together. Our daughters grew up watching it too- only thanks to the VCR, we watched it all year long! They know every word, every dance step. When our youngest was about 5, she excitedly pointed out a woman at a restaurant–“Look, it’s Betty!”. Betty? Betty who? “Bob’s Betty!” she told us with some disdain that we wouldn’t know that in July in a Pittsburgh restaurant in the early 1980s. And now our oldest daughter lives next door to an older couple, Bob & Betty, who looked at her with some dismay when she so excitedly told them she was soooo happy to finally meet them! Now our grandchildren join us in singing and dancing, laughing & crying through our beloved White Christmas. We will be gathering tonight & tomorrow to celebrate Christmas ( when family live at a distance, holidays are the day we are together! ). We’ll watch White Christmas once or twice! Merry Christmas! Our family just watched my favorite “White Christmas” last night. I love everything about it. The scenery, the clothes, the costumes, the Inn, and of course, the great story. I enjoy all the Christmas movies, but that is definitely my all time favorite. Merry Christmas! Love all the Christmas movies and reserve many dvds from the local library at this time of year. My husband has a rule that we can’t start watching them till after Thanksgiving. But once we pass that date….! Also have my own collection at home, especially of the Hallmark movies which I add to each year. Christmas in Connecticut is all time favorite, but in terms of number of views – the Holiday is catching up! Kate and Cameron…don’t we all want a New Year’s Eve like theirs? I too love Christmas movies and yes, White Christmas is my favorite! My tv stays on Hallmark from Thanksgiving until New Years day as they play all Christmas movies all the time. After that, those I didn’t get to see I break out the Christmas dvd box and spend most of January watching them. I just love this time of year and don’t want to let it get away too quickly 🙂 Many blessings to you & yours Phyllis and a very Merry Christmas! Mine are the old black and white movies. The Bishop’s Wife – Cary Grant and Loretta Young. And this year I bought A Christmas in Connecticut – Barbara Stanwyck. Love the old house in that one. My favorite Christmas movie, too. I love that house–the fireplace is beautiful!!! 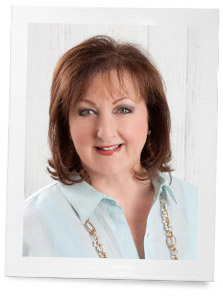 I recognize the plot lines of the Christmas movies you’ve been watching this season…another Hallmark fan here! I can’t get enough of “White Christmas” either…I’ve been watching it every Christmas since I was little. I just bought a new copy on DVD so I can share it with my little ones whenever we need a dose of Christmas spirit!